Deals and Vendors / Re: Where can I find good rearsets for the Kawasaki Ninja ZX-10R (16+) in GP Shift? Deals and Vendors / I need a great pair of levers for my Yamaha R6, any suggestions? It's amazing what a difference a good motorcycle sock can make when riding, you can actually fit into your boot properly (vs. a bulky white cotton tube sock) which rests on your footpegs translating into better bike feel and control. 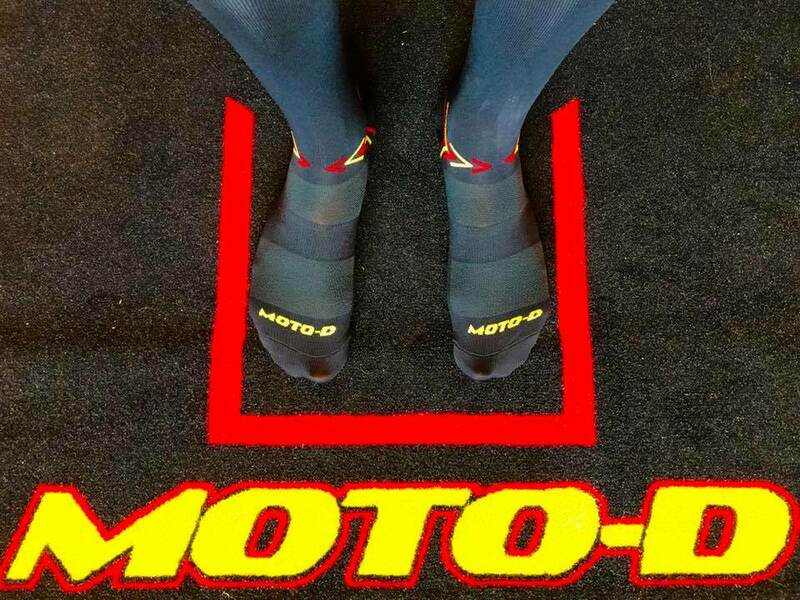 MOTO-D "Cool-Tec" Motorcycle Socks are Moisture Wicking, Anti-Microbial, and Compression Style Smooth. 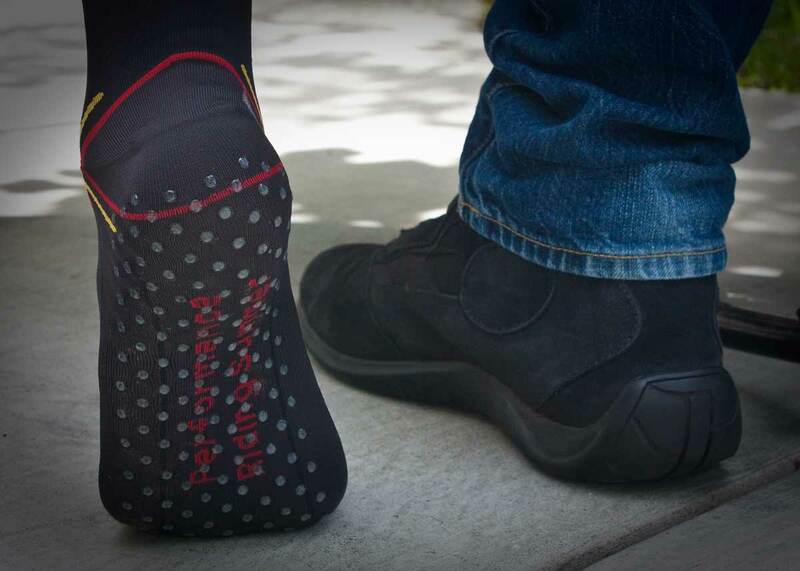 They allow the rider to slip their feet into their riding shoes or boots easily and since there is no bulk but they keep your cool on hot summer days, they are the best motorcycle socks! 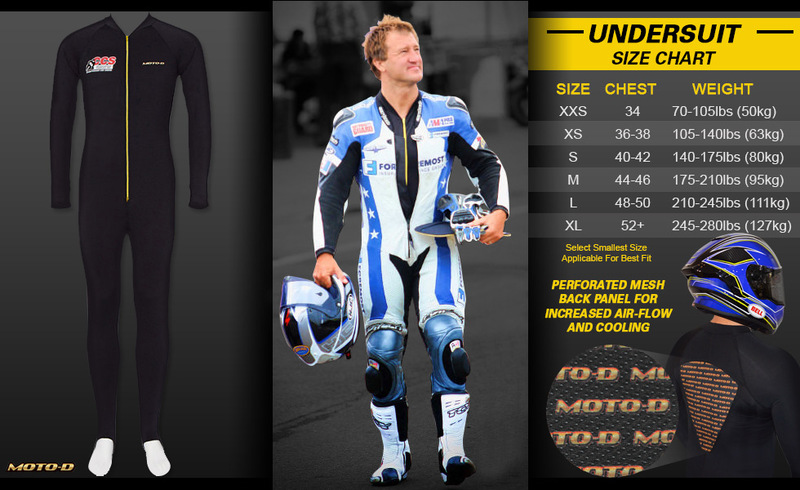 Pair up with the MOTO-D "Cool-Tec" Motorcycle Undersuit to Keep Cool and Focused, it's the #1 Motorcycle Riding Innersuit and fits great inside your leathers or riding gear, makes a world of difference to riders who want to stop sticking to their leathers! Bonamici BMW R 9T Rearsets are crafted in Italy to be gorgeous and the styling update needed to make this motorcycle standout from the others in the crowd. 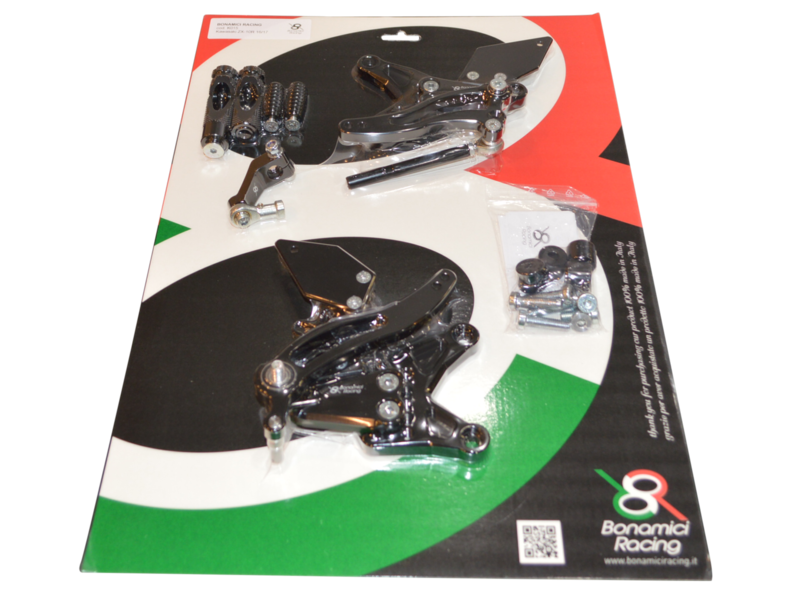 Bonamici BMW R nine T Rearsets were designed in Italy to have exact fitment, precise and smooth shifting (rearsets use bearings), and provide a racier feel due to their improved height. In addition, they feature super high-grip footpegs that are larger than standard footpegs for increased feel and weight transfer-ability while riding. Bonamici R nine T Rearsets also fit on the BMW R 1200R (2006-2014). Riders also looking for high grip tank pads should check out MOTO-D by Eazi-Grip BMW R nine T tank grips, they allow the rider to lock into the tank of the motorcycle for better control without rashing their leg. It's a fact, if you ride a motorcycle you need to constantly check your tire pressures for optimal tire wear and maximum performance from your tires. Straight OEM valve stems are not only heavy and ugly, but they are also difficult to access since they stick up straight towards the center of the rim making it hard to fit the air chuck inside and into the valve. Thankfully MOTO-D Angled Valve Stems are designed with an 89 degree design pointing the air valve towards the rider for easy access. No more banging your knuckles against the rim! Size: 11.3mm (0.453in): Fits all Suzuki, Yamaha, Kawasaki, and Honda Motorcycles with an 11.3mm valve stem opening (except Honda GL1500, GL1800, BMW R1150RT 02-04, BMW R1200GS 04-12, BMW K1200LT 99-08 , BMW K1100RS/K1100LT 93-96). 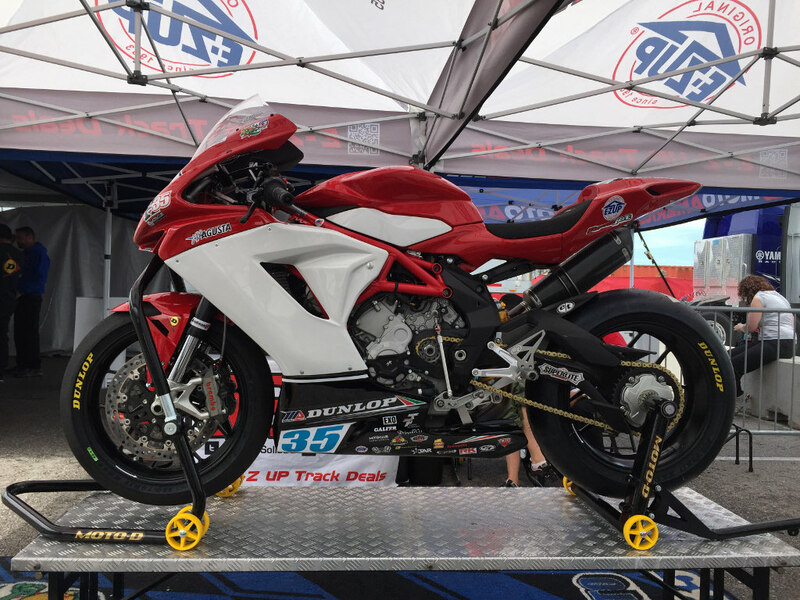 Bonamici Racing products are the result of an accurate engineering and design process performed in-house by laser scanning each motorcycle in their factory located in Otricoli, Italy. 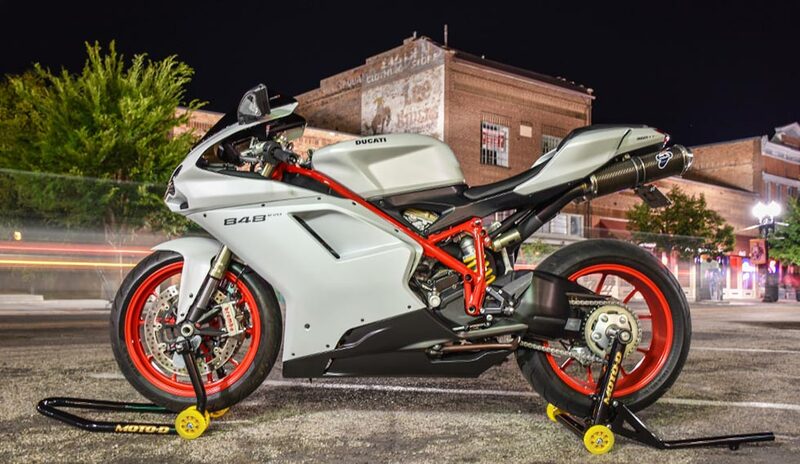 Bonamici produces racing rearsets, engine case-savers, clip-ons, and folding levers in the highest grades of titanium, aluminum, magnesium, and steel alloys. 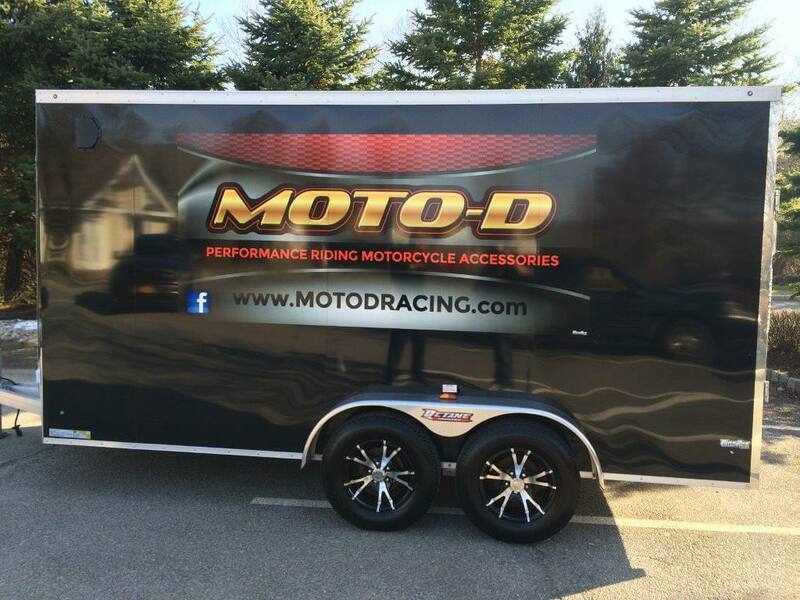 MOTO-D is the Bonamici North American Distributor which can solve any problems with care. 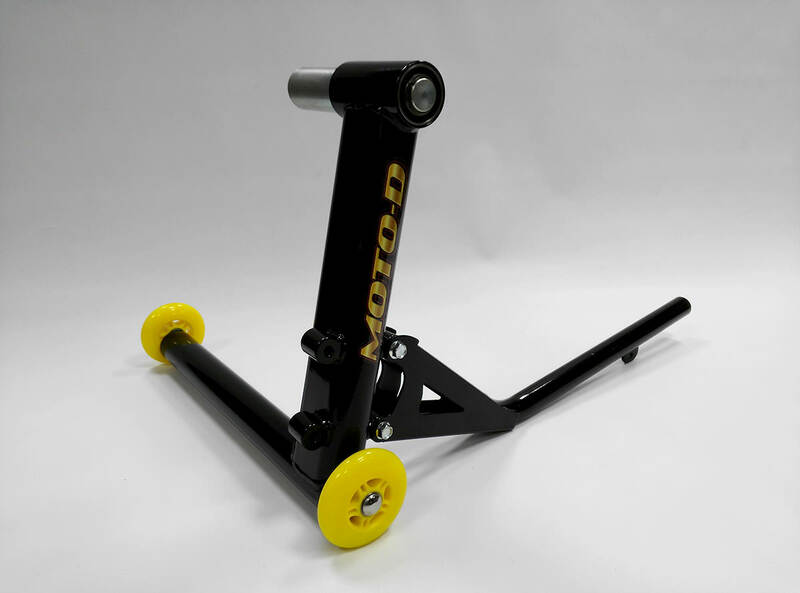 MOTO-D "Pro-Series" Stands are Steel, Solid, and Cost Less than Other Heavy Stands. Now upgraded to include Large Rubber Wheels that Rotate on Bearings and Make Lifting Super Easy and Smooth. 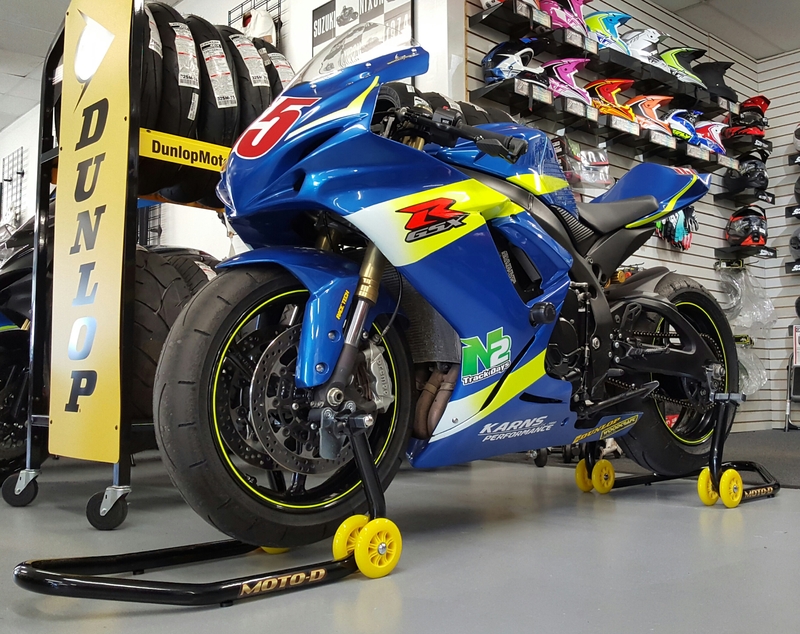 These are great stands for Suzuki GSX-R, Yamaga R1 / R6 / R3, Kawasaki ZX-10R / 6R, Ninja 300, CBR 600RR and more. Deals and Vendors / Best tank grips for Aprilia RSV4? 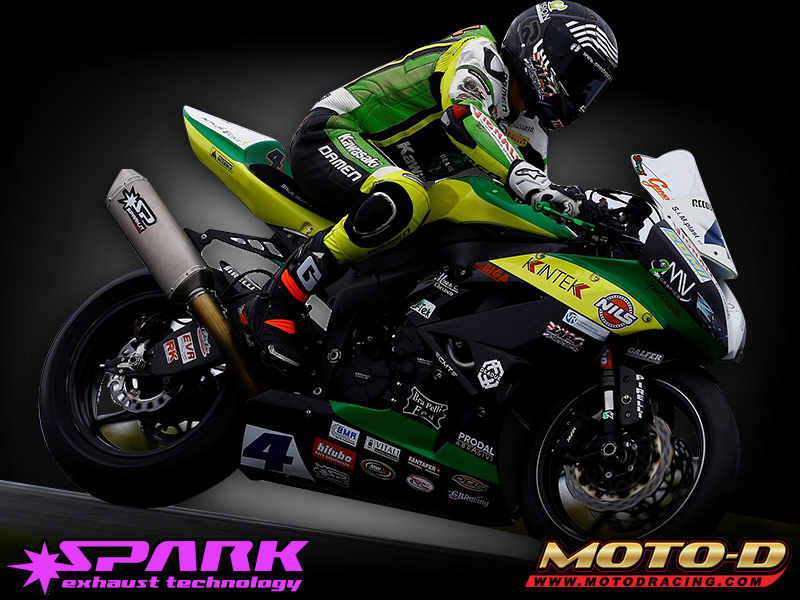 Deals and Vendors / Where can I find good rearsets for the Kawasaki Ninja ZX-10R (16+) in GP Shift? Deals and Vendors / Re: Who has rearsets for the 2017 Suzuki GSX-R 1000? Deals and Vendors / Kawasaki's are cool! Deals and Vendors / Who has rearsets for the 2017 Suzuki GSX-R 1000? Racing Headquarters / Anyone going to MotoGP at Circuit of the Americas 2018? We had an amazing time last year, anyone going this year and wanna join? 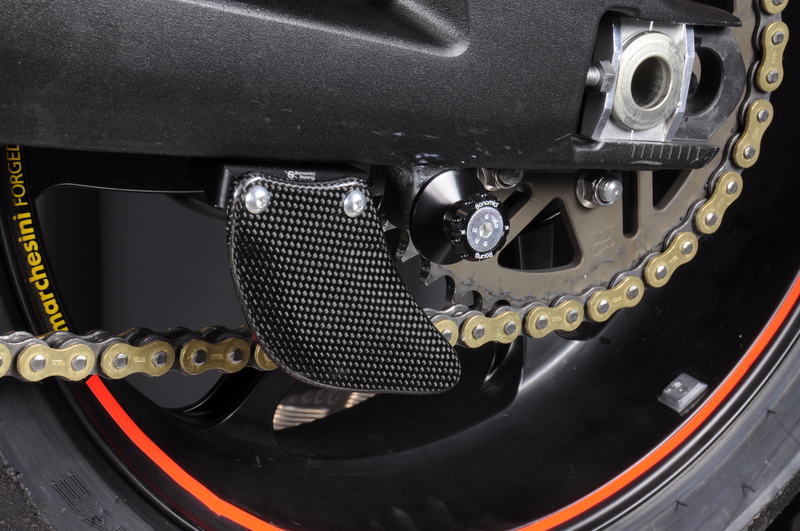 MOTO-D Ducati Panigale Rear Stand now features an Inline Rubber Wheel for even smoother lifting. It's solid steel construction makes the stand incredibly strong and stable. Thanks OCMOTO.com for the Support! 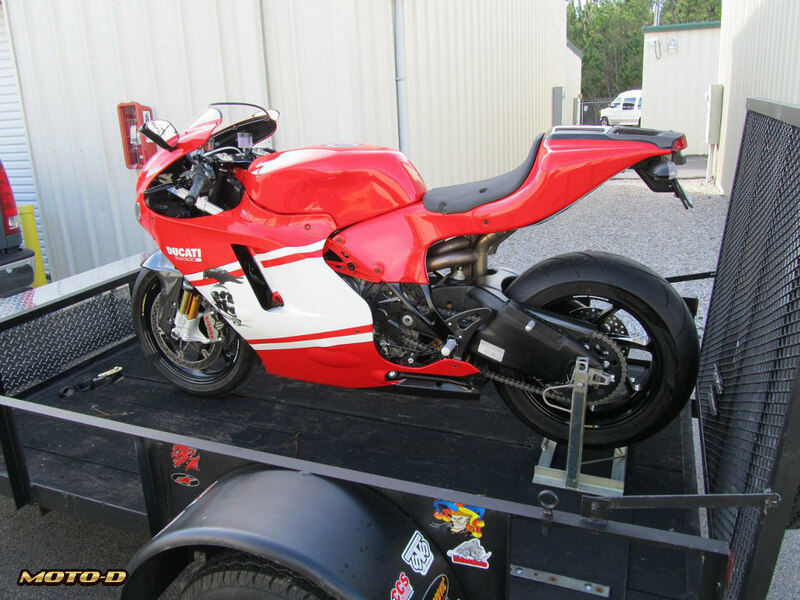 MOTO-D Strapless Trailer Restraint System is the easiest way to trailer restraint and transport your bike. Secure the motorcycle with a solid steel axle bar through the rear wheel, once inserted (approx. 1 minute to load), your bike is 100% secure. 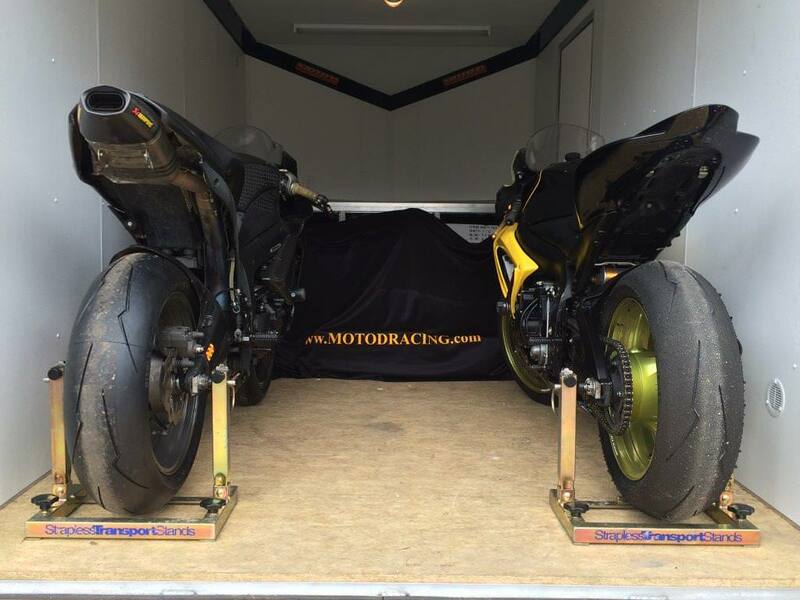 Safe and Secure and only took 1 minute to load a Suzuki GSXR-750 and a Kawasaki ZX-6R with the MOTO-D Strapless Transport Stands. 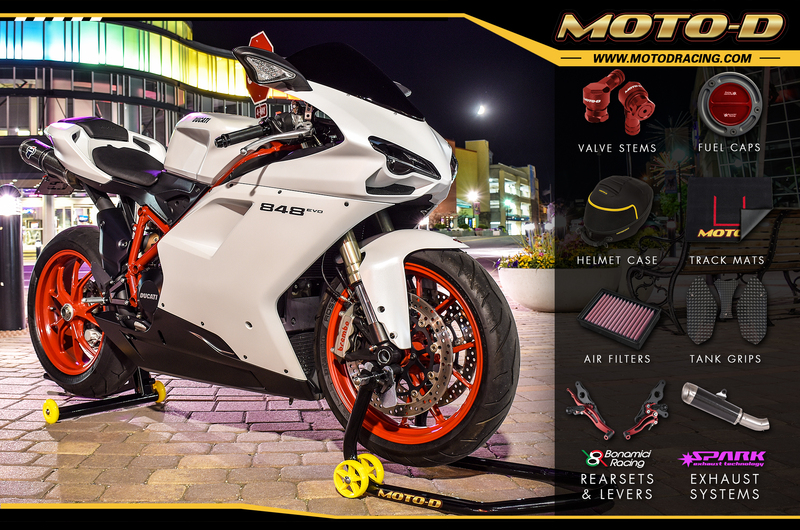 MOTO-D's Single Sided Swingarm Motorcycle Stand for Kawasaki H2, Ducati Panigale, Triumph, and MV Agusta. Sorry but no holiday specials at this time. 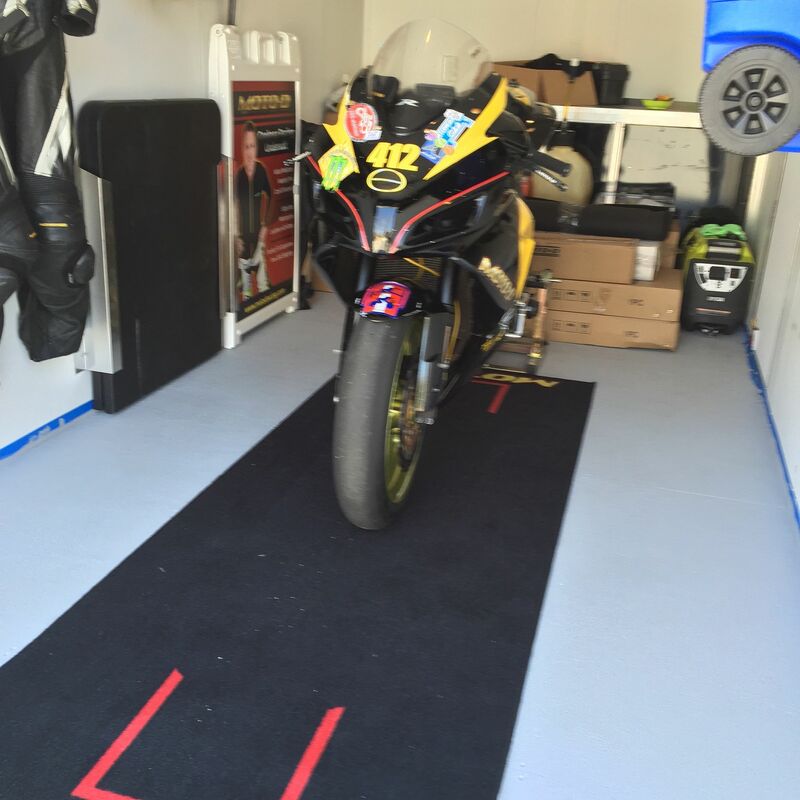 Look how simple it is use the MOTO-D Strapless Transport Stands. Great idea for a holiday gift. Treat your bike to easier transport, safe and secure loading.